Discussion in 'Operating Systems' started by HARDRESET, Mar 20, 2019. Last three builds , no issues with my system . Do you play any games that use anti-cheat software such as EasyAntiCheat which The Division 2 uses? If so have you had any GSOD crashes? I'm curious because I want to upgrade to this build as soon as it becomes near final but I don't want to install it if many of my games that use anti-cheat software are to start BSODing my PC. Show a list of games ,you have, that would be of concern, Apex has never had issues, for my system, give it a go, easy to roll back , i had to with 18353. Hitting both the fast and slow rings for 18362 seemed like a good indication and if not well it's probably just one or two builds until the final one is out before they start trying to resolve the remaining issues with cumulative packs. Three hours in and the usual setting up and re-checking everything (Oh look the tablet service and CTFMon is back again!) well so far no major issues but it'll be about a week or so before I can say anything more in-depth really, it is faster though that's pretty obvious in how responsive and snappy it is so that's a plus even early on but I doubt game or app performance will actually differ much if at all. A choice to skip the whole delta stuff and just download the full thing to make it faster for those with the disk space to spare and connectivity wouldn't hurt to speed up the install process but it's minor. And for the rest well guess I'll see over the next few days. EDIT: Oh and don't just jump into new builds early if you can avoid it, I was in the insider program until RS3 and then I felt like it went downhill even for problems in the slow-ring builds and jumped to release-preview so I'm kinda used to adopting over to new releases early and the problems these can have until a cumulative or two down the line (Or almost four months worth or so for RS5, nice one Microsoft!) but might as well get it over with early and face it head on, if I'm going to be stupid about this and charge right in then well should do so in full after all ha ha! Or how to say, any remaining major problems will likely shift to 20H1 anyway with the most pressing issues maybe fixed in a cumulative before the build hits full release assuming they don't manage to squeeze another one out next week. The Division 2 running good here. Thanks for the reply. Seems the bugcheck issue is with BattlEye. It would be helpful if you volunteer for a specific game that you own and test the native and/or Wine version. Some games have Linux beta branches or experimental builds, so a bit of granular testing is needed. I believe there are generally three categories: simply no support, natively or through Wine; native support or through Wine; or planned support. 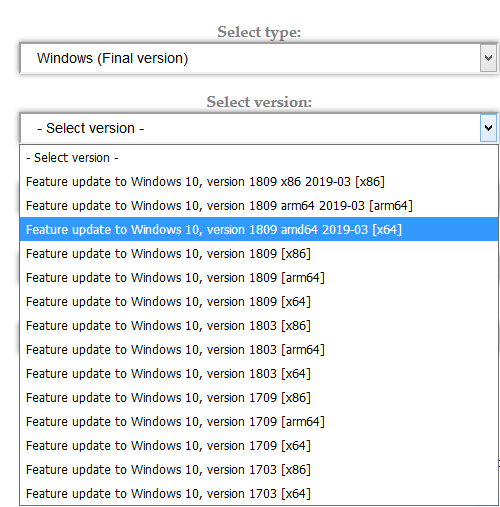 I was unable to install this update via the Slow or Fast ring due to some incompatibility issue when the Windows Update installer pops up and checks the system. It says something about despite being a Windows Insider that I am not eligible for the upgrade but, annoyingly, there’s no other information about what the actual issue is. The error code was 0x80270417, I think, something like that. Is Windows Update blocking updates if it detects games that use BattlEye anti-cheat software because I do have The Crew 2 and Conan Exiles installed, though I haven’t played either in months? Microsoft can block updates for software the user has but it should simply skip over it entirely if that happens. Can also take the .ESD the update comes in, turn that into a ISO and install it that way treating it as a regular install media for whatever method you prefer, I simply switched from release preview to slow and then back to release preview once everything was installed and set up as I wanted it to be since the upgrade does reset a number of preferences for some reason. Release preview update .402 also comes with a new service stack update so maybe that helps to have installed first before going into 18362 / 19H1 but it's nothing more than a suggestion. They have install media updates too so that's probably one way they'll resolve the install and upgrade errors if they're not doing a new build. Successfully installed this earlier on this afternoon after uninstalling The Crew 2 and Conan Exiles (two BattlEye titles, the latter of which freed 65 GB of space on my boot C SSD). This seemed to allow the Windows Update to proceed normally and install. Not sure too bothered about reinstalling Conan Exiles but I would like to reinstall The Crew 2. Is it safe to reinstall post-upgrade do you think or should I just leave it uninstalled until it is confirmed fixed by Microsoft? All seems fine so far - as usual, at first glance, everything appears identical to before as expected - and I only had to add a few tweaks such as removing the drives from My PC's navigation pane and so on. Didn't even have to install the graphics driver either; v419.67 appears to be installed correctly and shows as WDDM 2.5 in DXDiag. I did notice some minor flickering on the race line in Forza Horizon 4 when I tested but it has been a few weeks since I loaded that game so I'm not sure if it is a bug in the driver or an issue with this new build of Windows 10? Might try reinstalling v419.67 again to see if it makes any difference. One minor oddity with Windows though is that I am unable to get the Microsoft Store icon to show on the taskbar as previously. Right-clicking on the Store in Start > Programs shows the it *is* pinned to the taskbar but unpinning then pinning it again doesn't bring it back. Not sure if this is a bug or just a quirk of upgrading. Not a big deal but something that is puzzling me. All other pinned icons, including ones I've added post-upgrade, are showing correctly. The only minor bug I've come across as mentioned yesterday is that the taskbar was refusing to display the Microsoft Store icon despite the fact that on right-clicking on the app in Start > Programs it was showing as pinned to both the Start menu and the taskbar. Unpinning then pinning again did not fix the issue. A little off topic, but kind of is I guess.... why is it that newer builds of Windows 10 do not fit on a DVD? I went to test 1809, and it didn't fit on a DVD. With them removing so many features you would think the OS would get smaller.... but I guess they keep adding "apps".. so.. ughh..
Yeah the install media default is a USB stick now it seems, just around the 4.5 GB range from memory so probably just a bit over a DVD and then depending on how it gets packed and customized it might get a bit smaller but probably the latest builds are likely no longer going to fit thus the switch to USB installation. Machine in question doesn't allow installs via USB? What is the difference between amd64 and x64 builds? "Most of our games are already supported, some will be receiving updates in the near future." If you check in Program Files (x86)/Common Files you can see all the games BattlEye executables. (For me: PUBG, Fortnite and R6 siege). When you launch a game, these executables spawn the BeDaisy.sys driver which is loaded, and is supposed to be the root of the problems. All executables spawn a driver file which was signed on the 12th of january, which seems ... rather old. Darren Hodgson and Strange Times like this. Is it safe to reinstall The Crew 2 post-v1903 upgrade or should I just leave it until the BattlEye issue is fixed? Just wondering if the BattlEye runs outside of the game and causes issues or if it is only running when the game is launched? If it's the latter then it should be safe to reinstall, right?